Saturday, September 15, was a day to be remembered. The sun shone brightly in the dark blue Colorado sky, the aspens glittered golden, and nearly 30(!) riders turned out for the CBMBA Annual Fall Ride. That is so many riders on one ride! It was awesome. 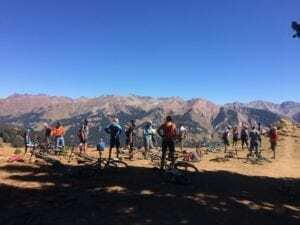 As the day went on and we racked up the miles and the feet of elevation (riding first Lower Loop, then Slate D’Huez, then 403 and 401), riders started to peel off back to town, but everyone seemed to find someone to ride with that was the right match for him/her. By the very, very end 6 riders cruised down Tony’s Trail back to town to celebrate a good day and a great season. We are so stoked so many of you came out! 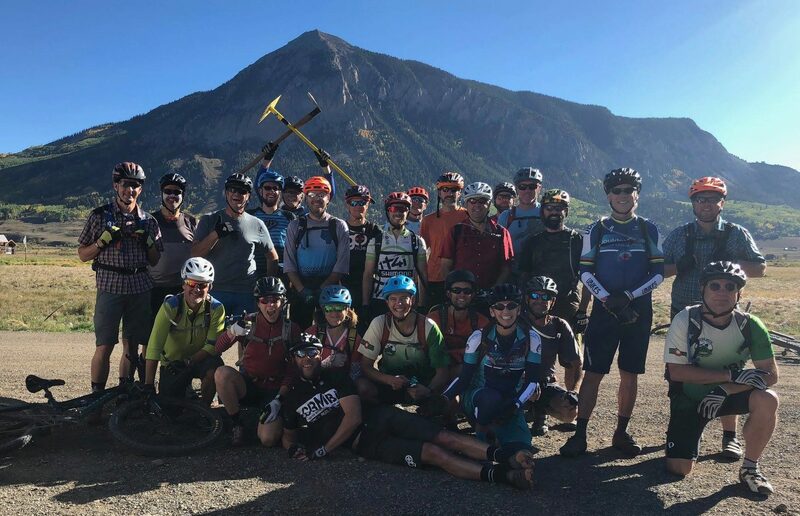 With folks from Pitkin and Pennsylvania to our die-hard local riders, we are psyched that so many of you decided to spend your Saturday with us! The after-party, too, was quite a success! 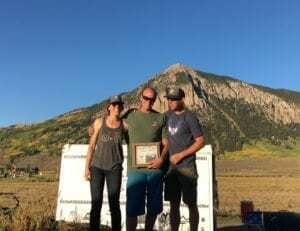 We awarded our Keeper of the Trail awards to the Jennings Family and Jordan Schwartz. 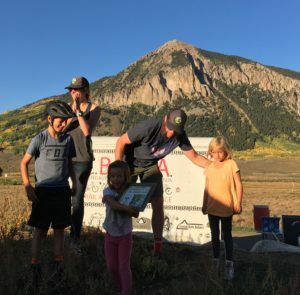 These volunteers truly go above and beyond–showing up for work days from spring to fall, sharing their love of CB and of trails with all around them, and riding bikes with big smiles on their faces. Congratulations to them! Finally, we get to announce the winner of our 2018 Membership Townie! This is a sweet bike, people! Congratulations to Big Winner Roanne Houck! Go ride that Townie all OVER Gunnison! And thanks to everyone who supported CBMBA in 2018! You can check out the full spread of photos on our Facebook page.